The headteacher of a Brighton primary school has sent parents a hugely critical letter branding Government plans to force all schools to become academies as the privatisation of education. Jonathan Cooper, headteacher at St Luke’s Primary School, and the chair of governors Lynne Cahill, say the proposals will “seriously undermine the profession”. In a letter sent to parents this afternoon, they say: “We believe that there is no evidence that academisation leads inevitably to improved school performance. The letter quotes Ofsted chief inspector Sir Michael Wilshaw highlighting serious weaknesses in seven multi-academy trusts which run schools across the country, which he said had the same weaknesses as the worst performing local authority schools. Sir Michael also raised the issue of MATs spending millions on education consultants to paper over gaps in staffing, and keeping even larger sums as cash reserves rather than spending them in their schools. The letter continues: “We feel that academisation will result in the privatisation of education, where schools will lose their autonomy and any independent vision. “We reasonably fear that academisation will lead to a fragmentation of the education system, where corporate interests will override educational interests. Individual educational businesses, with their own preferred educational approaches and advisers to promote, will shape our children’s futures. “In addition, the present terms and conditions for teachers will no longer be protected and schools will be able to appoint unqualified teachers. It is also still not clear what impact academisation will have on admissions. 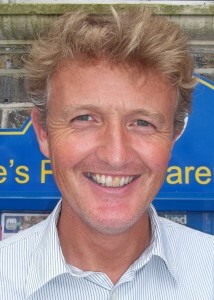 The school’s stand has been supported by Tom Bewick, Brighton and Hove City Council’s education spokesman. He said: “It’s right that teachers and governors speak out about the government’s forced academisation plans. “As professionals, they know instinctively that these proposals have absolutely nothing to do with improving teaching and learning in the classroom. I am writing in response to the government’s proposal to force all schools to become academies by 2022. A few years ago, the governors wrote to you about our opposition to academisation and this position has not changed. These latest proposals seem ill-thought through and it is our belief they will seriously undermine the profession. We believe that there is no evidence that academisation leads inevitably to improved school performance. In fact there is plenty of evidence that a significant number of the multi-academy trusts (MATs) are performing very poorly. ‘Given the government’s clear intention to move to a fully academised system and, in the Prime Minister’s words, ‘make local authorities running schools a thing of the past’, I think it is important as Her Majesty’s Chief Inspector to apprise you of the findings from these assessments to help inform the future academies programme. Although HMI carried out these focused inspections of academies within the MATs that gave us most concern, the findings are nevertheless worrying. The published letters to seven MATs highlighted serious weaknesses that were contributing to poor progress and outcomes for too many pupils…. We feel that academisation will result in the privatisation of education, where schools will lose their autonomy and any independent vision. Indeed, multi-academy trusts are run through a business model with stakeholders, directors and trustees. Significant responsibility for the direction of the school shifts from the head, staff, governors and school community to the stakeholders, trustees and their team of consultants. Given the above, we reasonably fear that academisation will lead to a fragmentation of the education system, where corporate interests will override educational interests. Individual educational businesses, with their own preferred educational approaches and advisers to promote, will shape our children’s futures. In addition, the present terms and conditions for teachers will no longer be protected and schools will be able to appoint unqualified teachers. It is also still not clear what impact academisation will have on admissions. Finally, whilst school budgets have seen no increase over the last few years, (indeed, in reality, they have seen a significant decrease given the additional staffing costs schools now face), it is disheartening that the government has so easily found £500 million to fund private company support for schools moving into its preferred multi-academy structure. We already work very effectively in an informal partnership of schools. We learn from each other and share capacity, whilst maintaining our independence. We are also directly accountable to the Local Authority. Therefore, we will offer our support to the political campaign which is gaining momentum against the academisation programme. Just as importantly, and with your support over the coming years, we will stay true to our principles and continue to work closely with other schools, the LA and the wider community to make sure the educational experience we are providing matches the needs and aspirations of each and every one of our children and helps them make the most of all the amazing opportunities life offers. Speak to Ian Thomas NASUWT and he will tell you of some Hastings events. I’m really proud of my little boy’s school for taking such a strong stand against forced academisation! St Luke’s is a fantastic school – the staff are passionate, committed, inspiring and clearly horrified about the thought of becoming an academy. The arguments for academisation just don’t stack up and are a distraction (a very expensive distraction at that) from the real challenges facing education; teacher retention, too few places, excessive testing, an increasingly narrow curriculum. I feel I can’t sit by while our schools are forced to be controlled by private companies who are not answerable to parents or local authorities, who can set their own admission policies and can choose to exclude or neglect the needs of vulnerable children. That’s why I have got involved in the Hands Off Our Schools campaign, . Its a community campaign to resist and stop the government’s plans to force our schools to become academies. We want to get parents, carers, teachers and everyone who cares about education to get involved in opposing the forced academisation process and talking about a better future for education. We’ll be out and about talking to people all over the city to try to keep Brighton and Hove one of the least academised cities in England. If you want to get involved check out our facebook page and get involved . We hope all schools in Brighton and Hove will come out and take a stand against forced academisation – just like st Lukes. As a fellow teacher I whole-heartedly support the views so eloquently shared by the Hean and Cahir of Governors at St Luke’s. It’s another clarion call to the populace to resist unwanted, unmerited and ill-conceived tampering with an already overworked and poorly motivated profession. Well done Jonathan Carter for putting the case against academisation so well. Hopefully other head teachers will speak out too against this adult policy . As a grandmother I fear for my granddaughters education. Thanks to this government they are already part of the exam factory culture. They do not need to be in a privatised system which makes this worse. Is Simon Kirkby listening to the roar of opposition here in Brighton? Represent your constituents and tell Cameron to think again. Congratulations to St Luke’s Head, governors and Council for taking a stand, opposing academization, standing up for local people, local authorities right to be involved in education planning. I hope many more LA’s, governors and schools will follow so that government is forced to back down, respect local democracy, accountability and commonsense. I think Jonathan Cooper is an excellent head teacher and its awful that schools are being forced into what seems an absolutely disastrous plan. I want it to stop. Quality education is important to our children and our collective future. Go Jonathan! Inspiring and committed. I wouldn’t have expected anything less. Brilliant work Jonathan !! Turning our state schools into academies is a crime ! i have signed petitions and also sent a letter to my MP. let me know what else can be done please.